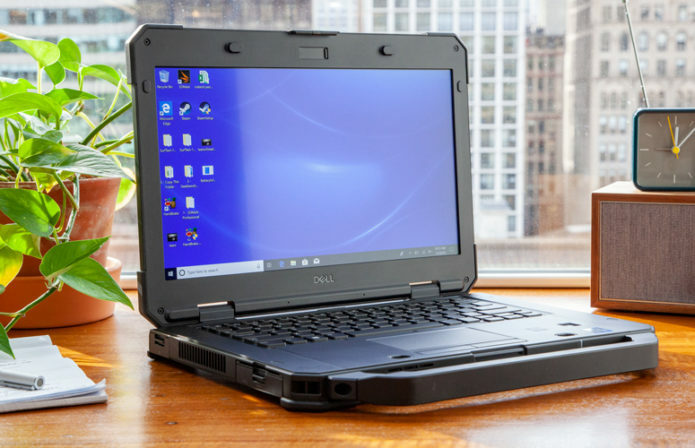 If you need a capable all-around laptop that can brave the outdoors, look no further than the Latitude 5420 Rugged (starting at $1,359, reviewed at $3,547). With a bright 1080p display, a relatively slim chassis and a responsive touchpad, the Latitude 5420 addresses the biggest problems we’ve previously encountered with rugged laptops. And it does so without sacrificing durability or performance, thanks to its military-grade strength and capable Core i7 CPU. Better yet, the Latitude 5420 offers all-day battery life, despite sporting a chassis that’s thinner than those of its rugged rivals.